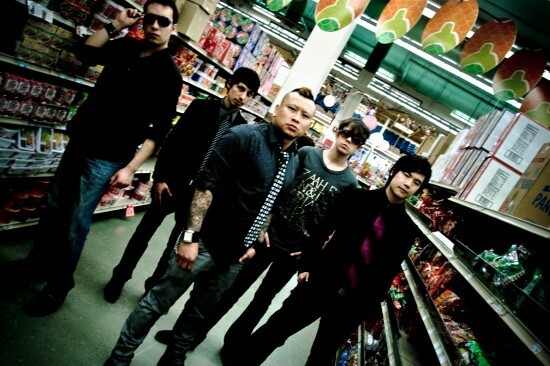 Asian American rock band, The Slants. In 1946, the federal government passed the Lanaham Act, the principle legislation that governs the registration of trademarks. Among other stipulations, the Act prohibits the registration of any trademark that “consists of or comprises of immoral, deceptive, or scandalous matter; or matter which may disparage or falsely suggest a connection with persons, living or dead, institutions, beliefs or national symbols, or bring them into contempt, or disrepute”. Federal Circuit courts have previously interpreted this to include racial slurs such as “Heeb”, “Squaw Valley”, and — of course — the “Washington Redskins” (which is currently on appeal). However, Simon Tam — founder of The Slants who tweets at @SimonTheTam — argued that despite the popular usage of the phrase “slants” as a slur when referencing Asian Americans, the band name was intended to be a subversive reappropriation of an epithet as part of their larger project to “take ownership” of anti-Asian stereotypes. The USPTO Board based their original decision on the presumption that the phrase “The Slants” would be viewed as offensive by a majority of Asian Americans. The Federal Circuit Court agreed with this, even though they also affirmed that it was not responsibility of the USPTO Board to actually demonstrate — through a market survey — any evidence that Asian Americans are actually offended. We find there is substantial evidence—even without a marketing survey or some other quantitative measure of the term’s offensiveness—supporting the Board’s finding that the mark is disparaging to a substantial composite of people of Asian descent. The Board does not have the resources, nor is it required, to conduct a marketing survey each time it evaluates whether a term is disparaging. In making this point, Tam argues that this law is disproportionately applied against minorities vs non-minority applicants, or unfairly exercised against some minorities over others, resulting in excessive vagueness in determining what is “too offensive” to register as a mark. Reuters notes that similar trademarks that seek to positively reclaim a word that might otherwise be viewed as an epithet have been successfully registered, such as the motorcycle club “Dykes on Bikes”. We have yet to be presented with any substantial government interests that would justify the PTO’s refusal to register disparaging marks. Without this, § 2(a) cannot satisfy the Central Hudson test. It is time to revisit the holding inMcGinley in light of subsequent developments in the law and the trademark registration funding regime. Tam said he expects the band will pursue having the case heard by the full court of appeals.